THE bilateral trade cooperation between Zambia and China has continued to deepen, with a total trade volume between the two friendly countries reaching US$3.79 billion last year, with a year-on-year increase of 41.6 percent. Zambia enjoyed a huge trade surplus of US$3.08 billion. From January to May this year, the trade volume between the two countries was US$2.196 billion with a year-on-year increase of 59.26 percent. There are over 1,000 Chinese enterprises investing in Zambia with a total volume of investment of more than US$4 billion. This is evidence that Zambia has become one of the top 10 destinations among all African countries for Chinese investors. 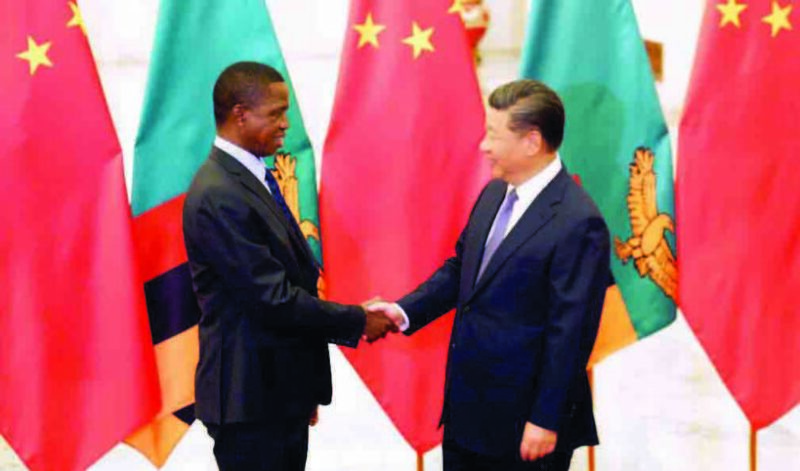 China’s foreign direct investment (FDI) will continue to stimulate massive economic growth and development in Zambia. In the last three decades, China has continued to provide the vital financial and other resources to the Zambian economy in form of FDI, including bilateral assistance and direct trade which has enabled Zambia to grow its economy, create jobs and spur positive improvements of the gross domestic product (GDP). Zambia has various sectors in need of immediate and huge financial investment in terms of the Seventh National Development Plan. These sectors are agriculture, tourism, infrastructure development, energy, mining, finance and banking, aviation, marine and the railway sub-sectors. It is only Chinese FDI involvement in these sectors that would rapidly unravel the economic potential in the short, medium and long terms. That is why Arnold Ngowani, the vice-president for the Zambia-China Former Students Association, says China’s investments into Zambia are hugely positive and welcome. “If the Zambian government and the people of Zambia can take advantage of Chinese foray into Zambia, the country is likely to benefit more than to lose in the short, medium and long term,” Mr Ngowani said. He said the Chinese are willing to operate according to the policies and laws of host countries. 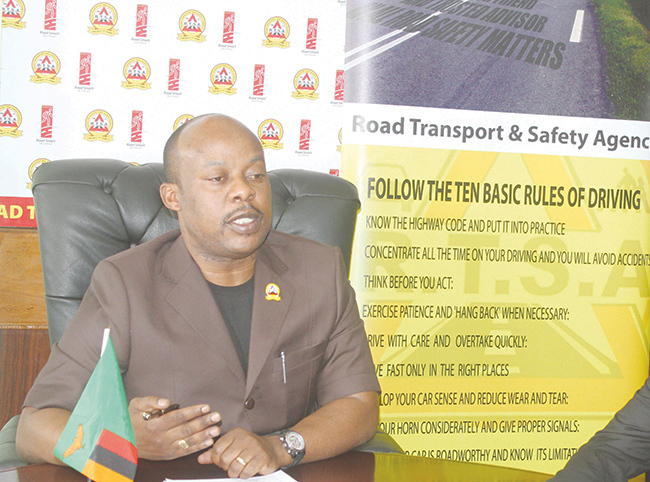 “In Zambia, it is the same. As long as the Government makes laws that promote and welcome Chinese investment into the country, the Chinese will invest and create jobs for the locals. “Chinese investments in Zambia are part of the broader programme by the Chinese government of promoting Chinese firms to invest outside China so as to promote sustainable development for China and recipient countries,” Mr Ngowani said. He said there are Chinese investments in construction, mining, trading, manufacturing, service sector such as banks, hotels and insurance, among others. The growth of these investments has been steady over the years and indications are that they are likely to continue growing. Therefore, the significance of Chinese investments in Zambia cannot be over emphasised. This is the direction of the future and Zambia should better get prepared to receive huge investments from China. The Chinese are in Zambia to stay as seen by the companies investing in long-term projects like hotels and real estate business. 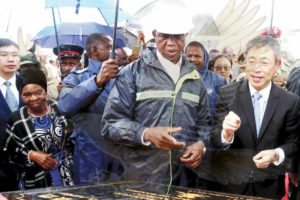 Chinese investors like the climate in Zambia and are willing to pump in colossal sums of money to change the landscape of the country provided Zambia welcomes them. This is why the Chinese government has supported and is supporting the growth of many African countries by investing in basic needs such as education, health, electricity, roads, railway, agriculture, manufacturing and service sectors, among others.